iCP Basics: This training course is held for three days, with about six hours per day reserved for PHREEQC, COMSOL and iCP fundamentals along with hands-on instructions and two hours planned for one-on-one support and review. iCP Customized: If you are already an advanced user of any of the COMSOL or PHREEQC softwares and prefer to focus more on iCP and its applications, we can customize the course under our iCP Customized format. In iCP Customized, course materials can be adapted to your specific requirements and problems of interest. Our experienced consultants can assist you in developing COMSOL, PHREEQC or iCP models of your real-world problems. * level 1: Installation & getting started. ** level 2: Advanced technical support for simulations is offered as a consulting service. *** MPI (Parallel Computing): Temporary licenses could be obtained under request. If you are interested in iCP please fill out the licence request form to get your license. 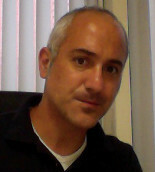 Jorge Molinero is the Scientific and Technical Director of AMPHOS 21. He received his PhD in Civil Engineering (University of A Coruña, Spain), and has 20 years of experience working with reactive transport simulations. Before joining AMPHOS 21 he was Assistant and Associate Professor at the Universities of A Coruña, Santiago de Compostela and UPC-Barcelona Tech. 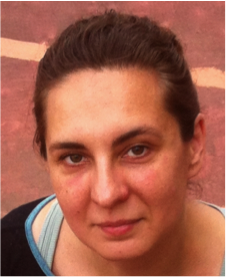 Elena is Project Manager at Amphos 21. She is in charge of several modeling projects involving reactive transport simulations related with both nuclear waste repositories and deep injection of CO2. She holds a PhD in Hydrogeology by UPC – Barcelona Tech. Before joining Amphos 21, she was a Post-Doctoral Research Associate at the Auburn University (US) and the Massachusetts Institute of Technology (US). 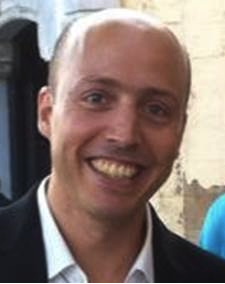 Andrés Idiart is a Civil Engineer with a PhD in Solid Mechanics and works as a Project Manager at Amphos 21. Andrés fields of expertise include among others the coupling between multiphysics, including geomechanics, and geochemistry. Orlando Silva holds a PhD in Chemical and Processes Engineering. Orlando is specialist in modeling and simulation of multiphase flow and reactive transport in heterogeneous porous media (e.g., radionuclide disposal, oil and gas, CO2 geological storage, mining). In the past, he has worked on the modeling of hydrometallurgical processes of copper recovering and the design of reliable MMV technologies and the development of efficient CO2 injection strategies for CCS. Currently he is senior consultant and project manager at Amphos 21 Consulting.